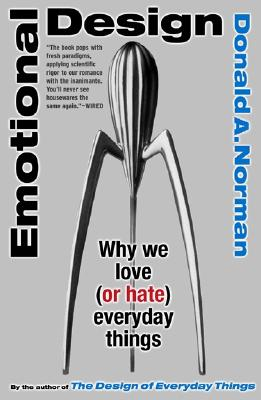 Just bought Donald A. Norman’s Book “Emotional Design” (I know, out for some time now, but …). Although I didn’t get much further than the Prologue, it widens the set of design paradigms to a more realistic scope. One can argue about how valid it is to build on specific emotional reactions when designing products, but there are certain facts we can’t ignore. I won’t forget when I unpacked my G5. This is like owning a Porsche – the only difference is, it is far less expensive to upgrade from the discounter’s PC to the G5 than from a Kia to a Porsche. Operating and navigating a 2nd gen. iPod nano has similar emotions to it: it justs fits right; nothing fancy about it, just right. … Redmond can you hear me? !